A valve is a device which stops or modifies the flow of a fluid. There are many different types of valves in the world. To provide a maximum sealing capability, certain parts of the valve such as the seat and the bonnet must be regularly serviced. A ball valve is a device with an excellent opening/closing capability. The lever just needs to be rotated 90°. When the ball is in line with the pipe, the fluid can flow. 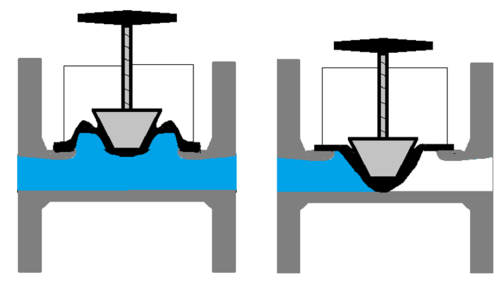 When it is turned 90° and perpendicular to the flow direction, the valve is closed and the fluid can no longer flow. It must be pointed out that this type of valve is used to clean fluids (water, gas, oil) in sectors such as energy transmission and storage, the gas industry and water treatment. 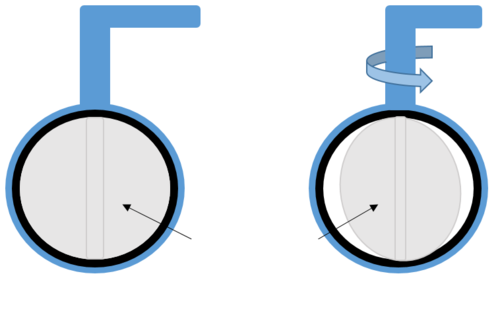 The main function of a butterfly valve is to control the liquid flow through a section of piping. The most important part of the valve is the metal disk. The butterfly (disk) is mounted on a rod. When the butterfly disk is closed, it prevents the fluid from flowing. When the disk is fully open the butterfly turns 90°. The passage is now free and the fluid can flow. Butterfly valves are used in chemical, pharmaceutical, and food processing industries for stopping the flow of water, compressed air or gas. Non-return or check valves enable fluids to circulate one way only and they close automatically to prevent any back-flow (which avoids gas blow-backs for instance). 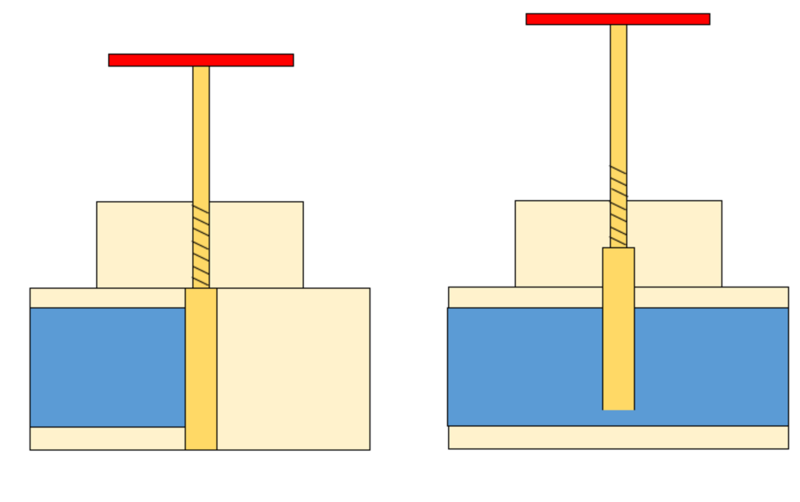 The degree to which the non-return valve opens depends on the flow. The higher the flow, the more the valve is open. If the pressure increases down the line from the valve and is higher than the pressure up the line from the valve, the system closes automatically. Non-return valves are more often used in nuclear power plants due to their light weight and compact design. They can also be used underwater in difficult and restrictive conditions and in the presence of very high pressure and low temperatures. The purpose of throttle valves is to limit the flow of a fluid (Venturi effect) and in this way accelerate its speed when leaving the valve. These types of valves are specifically designed for the oil and gas industry in order to control the flow of oil coming from the substratum via the wells. Oil wells require regular maintenance (facing) for their throttle valves due to the erosion phenomena that occur as a result of extreme conditions (especially low temperatures). The diaphragm (made of rubber or plastic) pushed down by the bonnet makes contact with the valve seat and forms a seal. This type of valve is ideal for controlling the flow of fluid that contains solids in suspension as well as corrosive or abrasive fluids. Initially, diaphragm valves were developed for industrial applications. Later, their design was modified for use in the pharmaceutical industry using materials capable of resisting different methods of disinfection and sterilization. 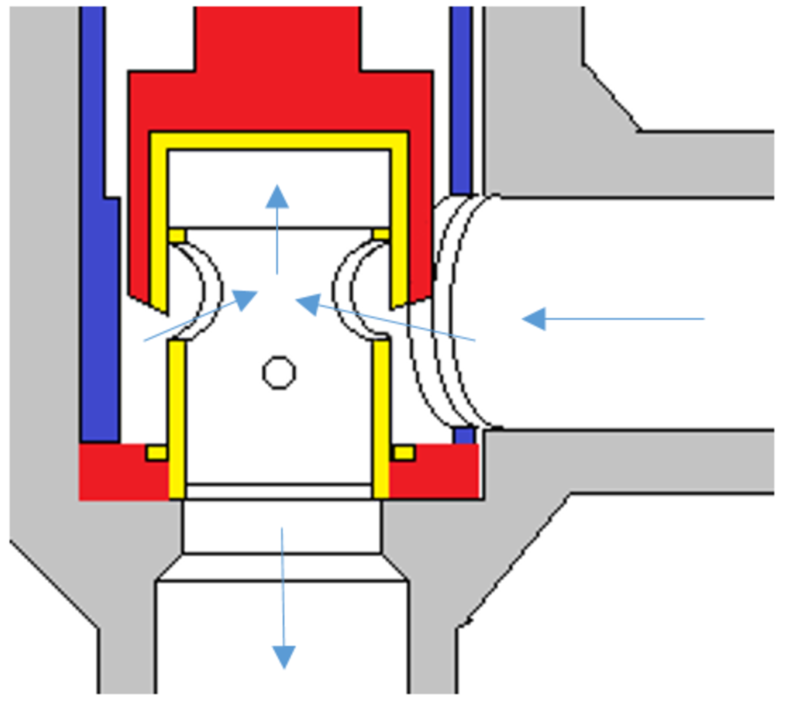 In a seat valve, the fluid flow is regulated by the valve door being fully closed or open. When the valve is closed, the door is completely shut and no fluid can flow through. On the other hand, when the valve is open, the door is raised, which means that nothing can prevent the fluid from flowing through. This type of valve is used in a large number of industries, particularly food processing and pharmaceutical. They are ideal for liquid fluids. This type of valve is suitable for adjusting fluid flows. Pressure retaining valves are operated by a hand wheel. When the gate is pushed tightly against the valve seat, the valve is closed. When the gate is not held against the seat, the valve is open. 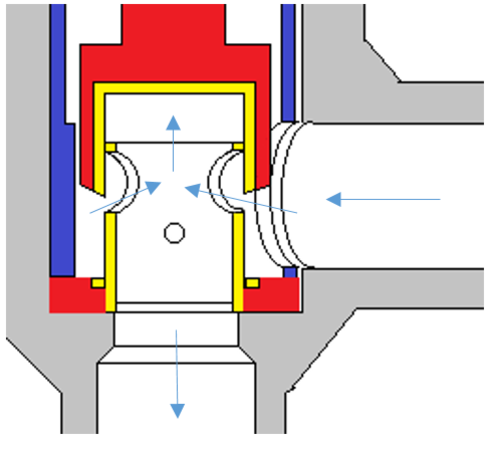 The valve rod must be rotated frequently for opening and closing the valve. As a result, the seal is often prematurely worn. Pressure retaining valves are suitable for a wide range of applications from flow regulation to no-flow conditions. The principles of operation for a pinch valve are simple: When open, the valve becomes a full port valve, without any flow restriction. When closed, two pinching bars compress the sleeve in the middle of the valve. Pinch valves are ideal for applications regulating or blocking flows of abrasive or corrosive sludge, powder or granular substances. Ball valves are fitted with a spherical ball bored with a hole often the same diameter as the valve bore. Multiport ball valves enable the fluid to take different routes when entering or leaving the valve. 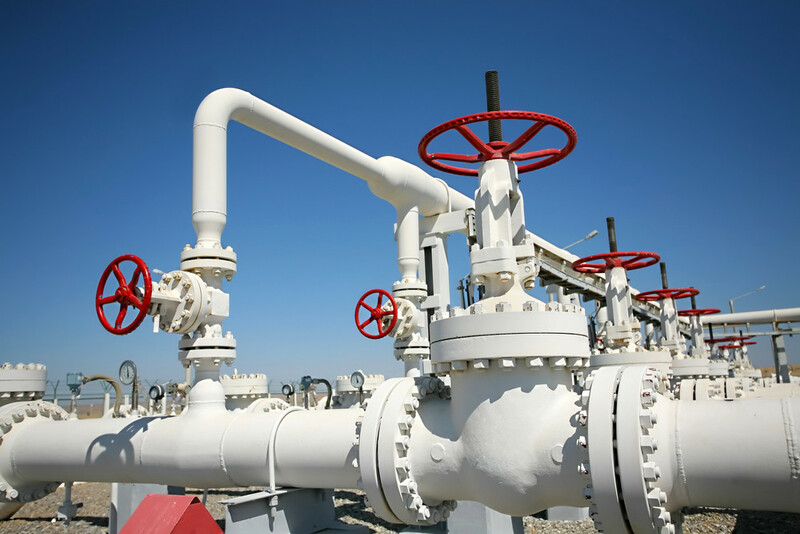 Ball valves can be used for regulating the flow of fluids containing abrasive particles, up the line to gas pipelines requiring bypass valves. Safety valves are automatic valves designed for opening and evacuating fluids automatically when pressure attains a predefined level and closing again when the pressure drops. These valves are used for steam, air, water and other non-hazardous fluids on pressure boilers or steam transport conduits for instance.